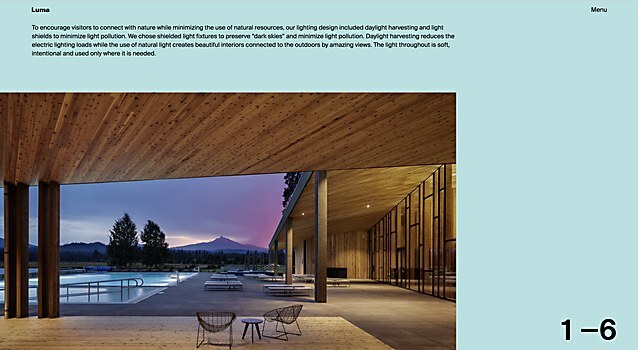 Leveraged typography and cinematic imagery convey elemental creativity in FINE’s site for lighting design practice Luma. Background: Luma is the lighting design practice within international trade and development company PAE (Pacific Architects and Engineers.) Its goal is to integrate light into spaces and materials to expand possibilities and shape human experiences. 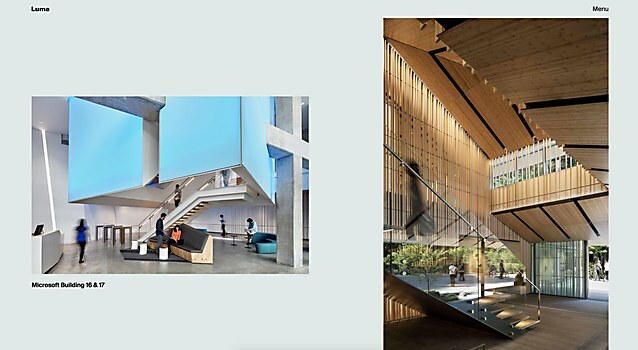 Luma’s new digital destination demonstrates both its humanistic ethos and an innovative practice with global impact, to reach prospective clients, prospective employees, thought leaders and the design community. Highlights: The site design boldly dramatizes the impact Luma’s work has on physical spaces. 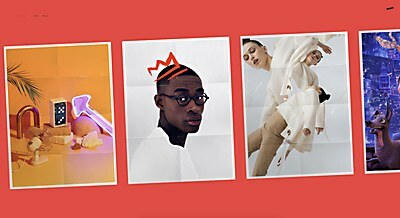 On the homepage, the brand is introduced cinematically, and leverages typography and arresting imagery to create the feeling of a highly designed museum exhibition. 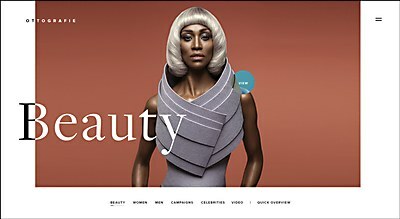 The work itself minimizes content to elevate brand perception and visual expression of form. 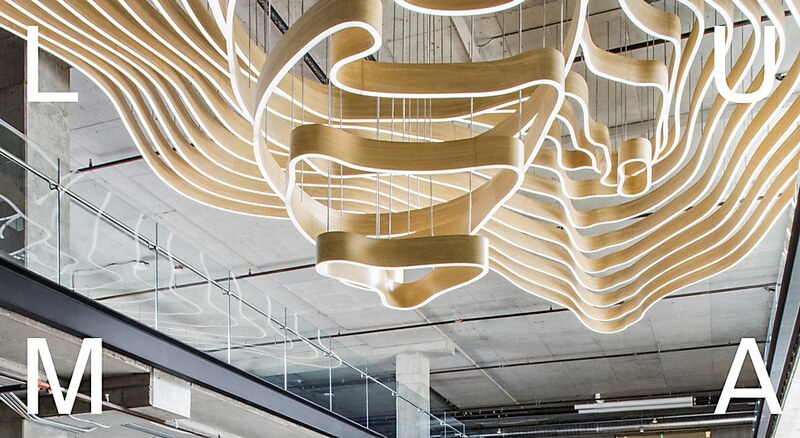 The design doesn’t just make room for Luma’s elemental creativity—it mirrors it. Favorite details: The projects on the pages are immersive and interactive, using large type to make bold introductions before letting the imagery do the heavy lifting. Each project uses a different background color palette to mimic how light can affect color in live space. An image counter details page position, while navigating through a cascading flow of images. Wayfinding between projects echo museum signage, and transitions between projects are seamless, fading in rather than reloading the page. Navigational structure: The navigational strategy is design-driven: simple, single-level and contained in a hamburger navigational structure so as not to detract from the work. Technical features: The brand introduction on the home page; fading out effects upon scroll and navigation reveal, the tracked mouse movements and triggered animation. Project shifts are an injection of a new page, putting it below the old, and animating them together. Filter and link animations have enter-and-exit animations, and pages both fade in and up. Transitionally, the technical details create a feeling of never leaving the site, make it seem like the site is revealing itself. 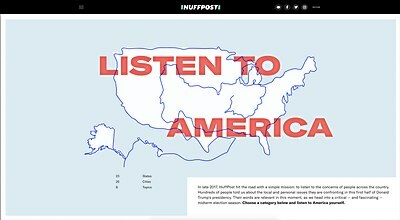 This interactive multimedia piece for HuffPost discusses differing people’s opinions and concerns about the future of the U.S. 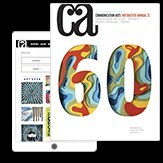 Animated effects and type showcase the best of this Paris-based graphic designer and art director’s work. The portfolio site for Dutch fashion photographer Otto van den Toorn presents his work in ultra high-res.